In the last couple of weeks, I have been practicing mindfulness during my daily life. I have been recently attending a weekly mindfulness group in Richmond, which has encouraged me to practice mindfulness during the two hour group meeting and in between the meetings. They say when you set an intention and focus on a particular area, you become surrounded by information in that area. This is certainly true in my case for mindfulness. Glow at work ran a masterclass on Mindfulness at Work with Gary Born, where we gave some people an opportunity to practice mindfulness for the first time and explore ways to apply mindfulness to the workplace. In the weekly mindfulness group I have been attending, the number of people interested in attending has doubled, which has resulted in another group being set up in Twickenham. There definitely is more information out there for the general public on mindfulness and its application’s are being seen in Government, Schools, Prisons, Workplaces and Healthcare settings. My week ended with a mindful birthday dinner with Maneesh who I connected with at the first Mindfulness at Work conference and Shamash who has written the Mindfulness for Dummies book; the applications are endless. 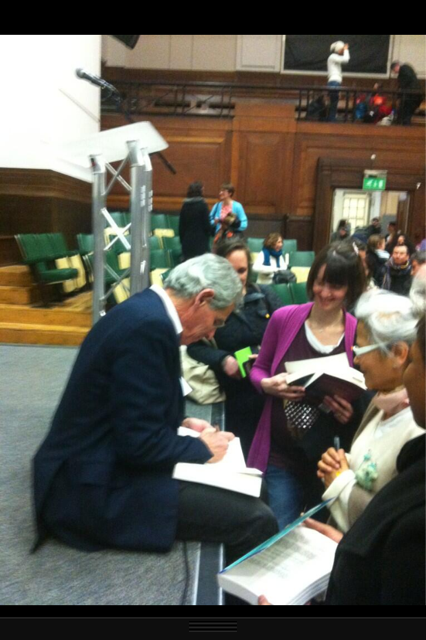 Jon Kabat-Zinn was in London and I was really excited to see him, with approximately a 1,000 other people. The queue outside Friends House was similar to a concert queue, everybody eager to hear Jon speak about Mindfulness. The evening with Jon Kabat-Zinn was sponsored by Action for Happiness. Baron Layard shared that he recently took the first mindfulness course for parliamentarians from the Oxford Centre for Mindfulness. The setting was Friends House in London Euston, where all the chairs face each other and famous people like Gandhi have also spoken. Jon wanted the evening to be about communication and connection. He said mindfulness has the potential to move the bell curve of world wellbeing. It allows us to have a wise relationship with suffering and happiness in the world. 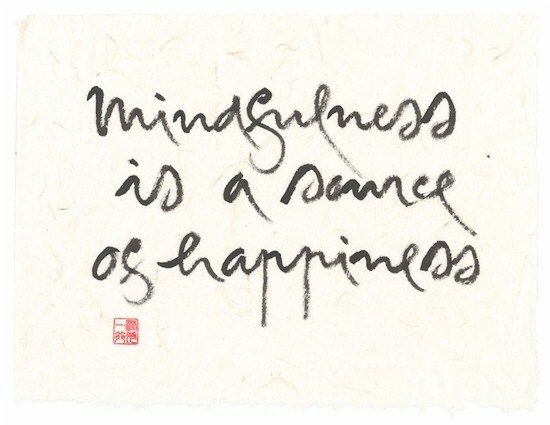 Suffering and happiness are a part of life and mindfulness helps us to acknowledge and accept this. Mindfulness gives us the tools, for example the focus on our breath, which we carry everywhere we go and we can learn to use more consciously. It grounds us into our present reality and gives us regular opportunities to practise mindfulness. He said it is a muscle that cannot grow without a certain amount of resistance. It involves a certain amount of discipline and hard work. The beauty is that we can use anything that arises in our lives to grow these muscles and allow it to shape and develop us. It is important to recognise that it involves daily practice, similar to how we eat , brush our teeth and shower each and every day. We can even use these daily activities to practice, it is as simple as saying to yourself I am eating, thinking about the process of eating, I am brushing my teeth, I am in the shower (your mind may have wandered to already being at work). These daily mundane activities, can easily reconnect and train our minds to check in and practice mindfulness. When you look at people meditating you may think they are wasting their time doing nothing when there are so many useful things they could be doing. In reality it is a process of ‘non-doing’ (waking up, being present, not trying to get anywhere) that can help us in so many ways with our health and wellbeing. In the last decade there have been 1,000’s of studies demonstrating the science behind the positive changes that occur in our brains when we meditate. For example, neuroscience findings show us the benefits of mindfulness for focus and concentration. A lack of focus and concentration can really undermine your work performance. Practicing mindfulness can improve your focus and concentration, even when in a busy or stressful environment. Research into mindfulness in a work context suggests that mindfulness widens your attentional breadth, allowing you to be aware of a lot of things simultaneously (Dane, E, 2010). A recent study conducted in the US Marine Crops investigated the impact of mindfulness training on working memory capacity. The study suggests that mindfulness training may improve working memory in a stressful environment (Jha Ap et al, 2010). Researchers at Harvard used MRI scans to look at the brains of people who had practised mindfulness meditation for many years, and found that areas of the brain associated with attention and sensory processing were thicker than in people who had never meditated. (Lazar S et al, 2005). 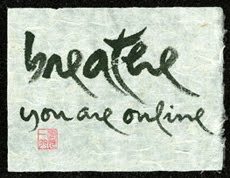 In all Asian languages the word for mind and heart is the same, the chinese character for ‘mindfulness’ combines the ideograms for presence and heart. In the west we separate the two words and worlds. The eastern definition is about attention, that you can call affectionate attention. He shared his daily practice with us, this involves taking his seat early in the morning, to check in and cultivate the seeds for the day. He see’s it as a radical act of love not just a discipline. It is a time for ‘being’ and not ‘doing’. We live in a world of to do lists that are endless. And mindfulness helps us to stop and take a moment to get away from this never ending treadmill of actions and tasks, to focus on who we really are, providing insight to work on what is really important to us as human beings. – It’s a radical act of love and self compassion. – It is much about nothing but it is just about everything. – The thinking mind cannot understand it. – You’re perfect already – when did you thank your liver for what’s it’s doing right now? – There are many things we have to live to learn with. – Do not take things personally, there is very little that is personal. – Happiness and sorrow go together – they are intimately related and how the heart and mind are related. The best reason he says to meditate is that you feel integrated, we call ourselves human beings and we act more like human doings. If you want to create anxiety, just think about your emails or constant connection with your smartphone. Maybe we need to apply this connection or obsession we have with being connected to the external world (I struggle without WiFi) to how we connect with ourselves, like GPS for the soul, how regularly do you check in with yourself? Say where am I? Who am I with? Am I paying attention? Is my breathing relaxed or stressed? Just noticing your surroundings. – John Teasdale, the founder of Mindfulness Based Cognitive Therapy, has done a lot of work on how mindfulness transforms suffering. There is 1000’s of years of wisdom behind mindfulness, you do not have to be a Buddhist to do this. The Buddha was not even a Buddhist, it is a European term. It’s a practise open to all. Dane, E. (2010) Paying attention to mindfulness and its effect on task performance in the workplace. Journal of Management. Davidson, R, Kabat-Zinn, J et al (2003). Alterations in Brain and Immune Function Produced by Mindfulness Meditation. Jha Ap, Stanley EA, Kiyonaga A, Wong L, Gelfand, L. (2010) Examining the protcetive effects of mindfulness training on working memory capacity and affective experience. Emption 2010. Hunter, J & McCormick, D (2008). “Mindfulness in the Workplace: An Exploratory Study” Paper presented at the meeting of the 2008 Academy of Management Annual Meeting. Anaheim, CA. 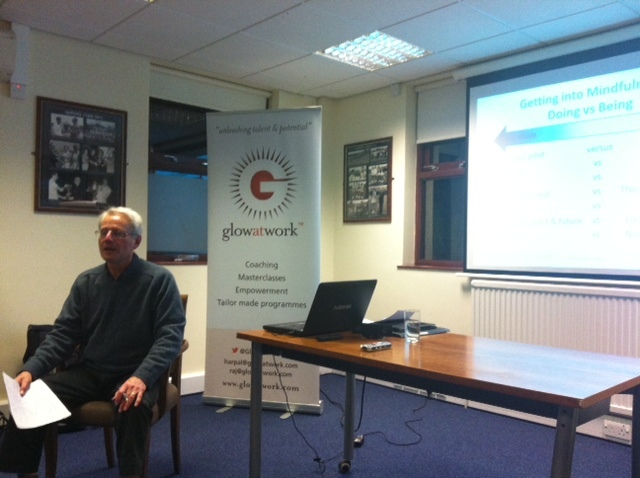 Gary Born’s ‘Mindfulness in the Workplace’ session was truly fantastic for three reasons. Firstly, the session did not involve bells, bare feet, sitting on the floor, or unknown and unexplained words (really make us feel like outsiders). While there’s nothing inherently wrong with the above, it’s exactly these more ‘exotic’ elements of mindfulness and meditation that can be off-putting or alienating for some of us. Indeed – as a woman from the workplace, being asked to sit cross-legged while wearing stockings and a skirt can create immediate embarrassment and awkwardness! Gary’s practical approach reminded us all that practising mindfulness can actually be integrated into our daily lives very naturally. 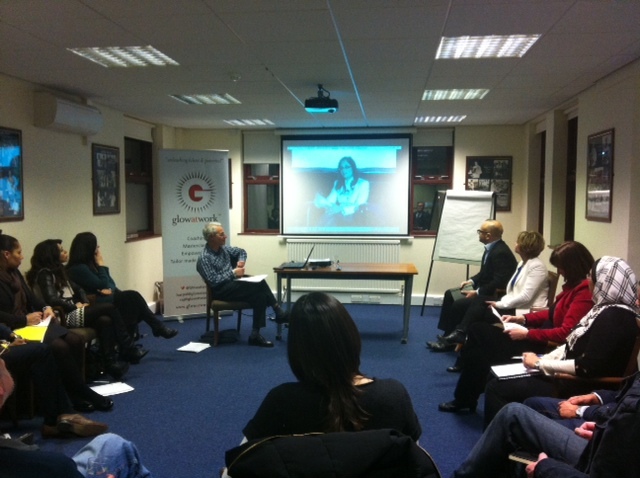 Secondly, the session involved several actual practices of mindfulness exercises. I felt more calm, present and centred after these. In fact – the real point of this focus on the breath hit me. Why the breath? Why are meditation and mindfulness exercises always talking about ‘the breath’? Well – the way I understand it is that that the breath is always there. The fact that it is always there is rather calming. It’s a constant presence in every minute of our lives. In fact, taking this a little further – we are always here. Odd as that sounds (!) – how often are we so involved in the emails on our screens, the PowerPoint slide we are battling with, and the voices of others all around us, that we forget that we are here, too? We are often ignored, avoided or simply de-prioritised in the busyness of life and work. Mindfulness, as I understand it, is about remembering that we are here, and that being aware of ourselves is valuable. In this way, we can develop greater self-awareness – a benefit to ourselves and others. Thank you to Gary and Harpal for a fantastic session!